On this episode Rick and Piper discuss Foot Locker and other non-traditional retailers selling Funko products and what this means for collectors. This issue stemmed from Foot Locker getting their own Lebron James Exclusive and selling out immediately…. who’s next Mattress Warehouse Matty the Money Laundering Mattress?!? They also discuss their weekly pickups, crazy new Amazon delivery methods, TONS of great announcements, and close it all out with getting everyone prepared for a very Funko Holiday shopping season. Join them next week when the Collector Series Returns with Raven and Keith! Cost Plus Shipping: orders will be shipped this weekend. Successful Giveaway!!!! : (*Party Sound Effect*) We gave away over $2,000 worth of pop from NYCC! As Part of our Year One Celebration. Want to join in all the giveaway fun in 2019! Check out our Patreon today! Attention All Patrons: Your giveaway items will be included and shipped with your Patreon boxes at the end of this month. BONUS: All Patron boxes will ship at the end of this month!!! Pops for Patrons Program! For every successful $5 Patron signup you will receive a free Pop! and an entry to win the monthly large prize giveaway. Our goal is to have over 100 patrons by the end of the year. PCA Holiday Party: is in the works we are looking to reserve some space to do a pop swap / party for the holiday season in the DFW area if you are interested in attending checkout our newsletter this month to RSVP. 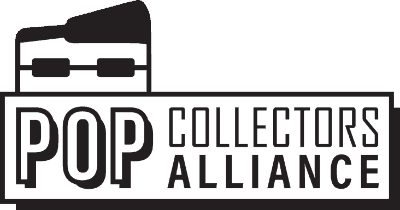 PCA Secret Santa: If you are a patron and you would like to sign up for the Pop Collectors Alliance Secret Santa Please go into our Discord to the Secret Santa channel and message #signmeup. The list will be randomized this weekend and there will be a limit of $30 before shipping for each person. Don’t be a Michael Scott and get the iPod! Please rate / review the podcast HERE. The post EP039 – Foot Locker Exclusives and a Funko Holiday Season appeared first on AstroPanda.